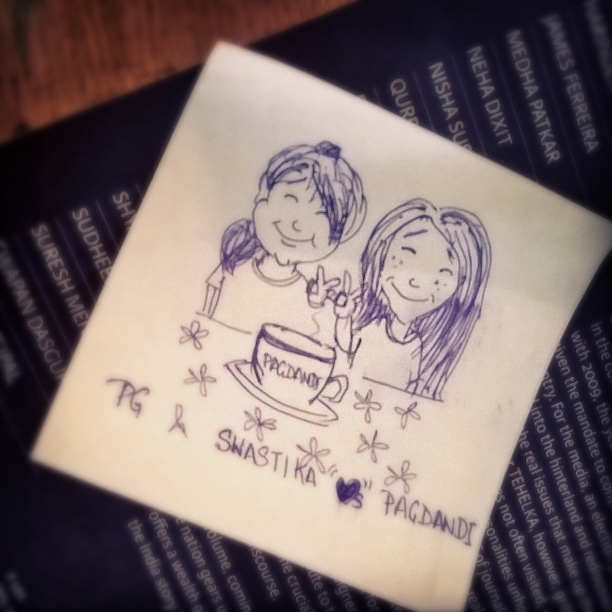 If you like cafes with knick-knacks, DIY, books, good food but more importantly, a place that stimulates good conversation…then Pagdandi is JUST THE PLACE! You have to remove your shoes when you enter and as soon as that tiny bell at the door chimes, you will be hit by a sensory overload. I wanted to do a 360degree gaping; instead I gaped in short turns. 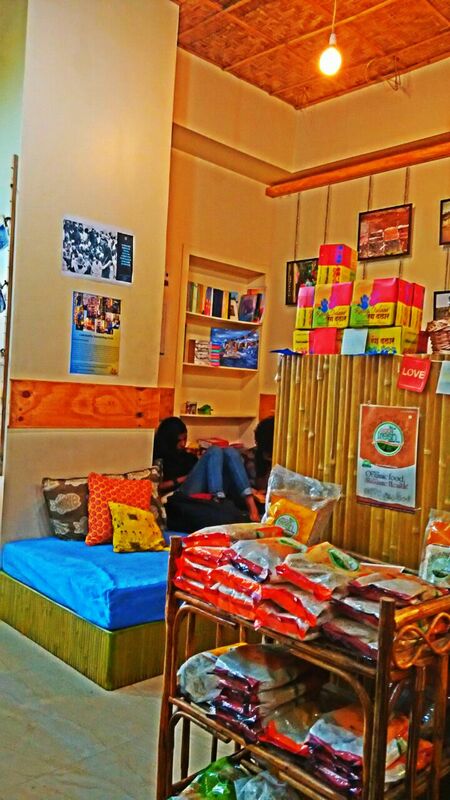 I noticed the ceiling made of bamboo mats, the low-bed made comfortable with cushions, floor mats to sit on, the books (Goodness! An amazing collection too! ), the post-its on the counter with feedbacks from patrons. Also, a guitar at the top of a cupboard, a DIY bottle with fairy lights inside, Tibetan prayer flags running diagonally across the ceiling. Sitting on the cane-poufs or reclaimed wood chairs, you almost feel like you are in a Darjeeling café and it’s snowing outside. In short, it is cozy! Soft-kitten cozy! I’m so glad this café happens to be in my area; well, if you are not anywhere nearby, you should still find some time and visit this place. Things cannot go wrong when you have the words “Chai” and “Books” and “Café” in a single sentence. 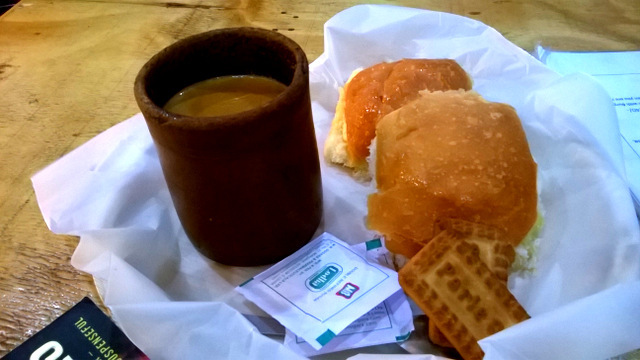 Pagdandi Books Chai Café. Definitely worth going! Man I miss pune!!! This sure is an awesome outlet. I dont think this was thr back in 2011 ?? 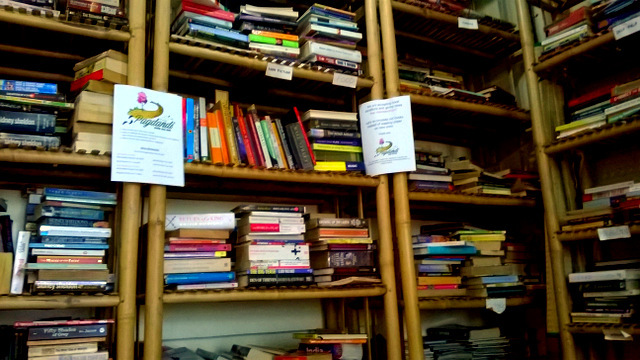 Previous Previous post: Book Cafe Ssong: The cutest cafe!